This month's essay is by Rabbanit Malka Bina, founder and chancellor of Matan. 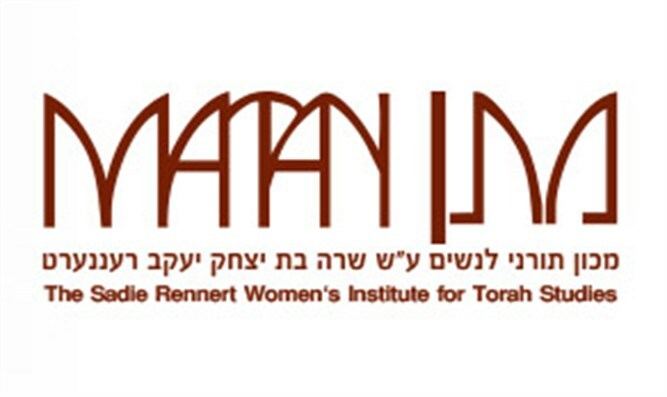 Matan is an innovative institution located in Jerusalem an ddedicated to furthering women's Torah study, paving the way for them to learn Talmud, Tanakh and Halakha at the highest levels. כו רְאֵה, אָנֹכִי נֹתֵן לִפְנֵיכֶם–הַיּוֹם: בְּרָכָה, וּקְלָלָה. כז אֶת-הַבְּרָכָה–אֲשֶׁר תִּשְׁמְעוּ, אֶל-מִצְוֺת הי אֱלֹקיכֶם, אֲשֶׁר אָנֹכִי מְצַוֶּה אֶתְכֶם, הַיּוֹם. The Sefat Emet notes the repetition of the word hayom – this day -three times in these verses and he comments לפניכם היום. כל יום בחירה חדשה (Sefat Emet, Re’eh 1873) – each day we have a new chance to choose what we do, how we behave, how we live our lives. We are given a daily opportunity to select the moral and upright and we must grasp it. In analyzing these pesukim, the Sefat Emet notes that there is a change in the way the choice is described in pasuk 27 and in pasuk 28. As regards the blessing, the pasuk says “that you listen to the commandments”, whereas regarding the curse it adds the word “if” – if you do not listen. His deeper understanding is that by their very nature, good exists within the Jewish people and they will naturally choose to adhere to the commandments. That’s why the word “if” doesn’t appear in connection to the blessing; the presumption is the positive. On the other hand, choosing the path of sin is not inherent to our nature and that is why the word “if” appears in the pasuk; it is not assumed that we will choose the curse but quite the opposite. Goodness reigns. In Parshat Nitzavim (30:19) we read: “I call heaven and earth to witness against you this day: I have put before you life and death, blessing and curse. Choose life…”- “uvacharta bachayim”. The Sefat Emet comments that although heaven and earth have no freedom of choice, even in nature all things seem to follow in the ways of God. How much more so then are human beings instinctively drawn to God and mitzvoth! The difference is that we have been given choice and, unless we are overwhelmed by evil, we will intuitively follow the good. The theme of choice features in the Sefat Emet’s understanding of the verse that we recite every morning in the Birchot HaShachar – “asher natan lasechvi bina lehavchin bein yom uvein layla” – who gives the rooster understanding to distinguish day from night (note that there are some commentators who translate the word sechvi as heart or mind. The word appears in Job 38:36). In Hassidism, animals are often referred to as representing man. The rooster instinctively senses the difference between night and day, darkness and light. Human beings are fortunate to have been endowed with intelligence and free choice to distinguish between night and day, darkness and light. God points us in the right direction, trusting that we will choose well. The Sefat Emet believed that every person’s soul is fundamentally righteous; we are all created in the image of God and, as such, we are fundamentally good. Doing teshuva, particularly at this time of year, means returning to the inner nugget of virtuousness that is within us. The entire world is renewed each day, each month, each year; Elul is a particular time of renewal. Through teshuva, choosing life and goodness by honoring the Torah and mitzvoth, we have the promise of achieving personal and collective renewal. This has been a momentous year at Matan. Our first cohorts of exceptional scholars are completing the Hilkhata and Morot L’Halakha programs and receiving their certification as Halakhic Responders and teachers. They are adding a strong and much needed voice to the Halakhic discourse, serving as spiritual guides, communal leaders and increasingly as Halakhic Responders. They are touching lives and empowering women and families through knowledge and practice of the Halakha. The second cohort has graduated from Bellows Eshkolot: the Matan Institute for Tanakh and Jewish Studies which is training knowledgeable and talented women to become master teachers with the necessary skills and resources to excite their students and strengthen their links to Torat Eretz Yisrael, Am Yisrael and Eretz Yisrael. They are already making a huge difference, transforming the Jewish studies experience for scores of students. I am bursting with pride at the achievements of all of Matan’s students and graduates and am grateful for the help and commitment of our friends and supporters who enable Matan to offer unparalleled groundbreaking advanced women’s Torah learning opportunities. Together we’re making our dreams come true, enabling women to learn, lead and inspire. The last months have been hugely challenging for our family. Chasdei Hashem, our granddaughter Miki (Miriam bat Chaya) has come through a very difficult surgery and she is on the road to recovery. There are still hurdles along the way, but with her amazing spirit and determination Miki is moving forward day by day. We have been overwhelmed and humbled by the outpouring of love and concern from around the world and by the constant tefillot, acts of chesed and Torah learning people have taken on themselves in Miki’s zechut. I believe with all my heart that this is playing a part in bringing about a refuah shlemah for Miki. We are thankful beyond words. May the month of Elul be a time for teshuva and spiritual renewal and may the year ahead be filled with good health, prosperity and peace in Eretz Yisrael. The Edythe Benjamin חיה בת שלמה, beloved mother of Barbara Hanus, Rosh Hodesh Av Torah Essay. Rabbanit Malke Bina is the founder and chancellor of Matan: the Sadie Rennert Women's Institute for Torah Studies. Matan's creation in 1988 pioneered women's learning institutions in Israel and abroad. 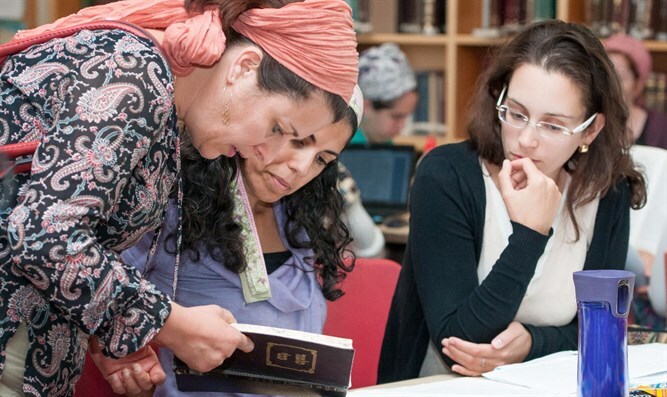 In her role as teacher of Talmud and Jewish law, and advocate and builder of Advanced Torah Scholarship programs for women, Rabbanit Bina has given thousands of women the opportunity and joy of high level Gemara learning and Tanakh classes.